After bidding Anne a fond farewell, the Joestar gang head to new lands. Namely, a foggy village in Pakistan. Will they find a hotel? Or will they find death at the hands of a vengeful Enya Gail? It’s another episode of the JoJo’s Bizarre Adventure podcast from the folks from SOTSM and DITB! 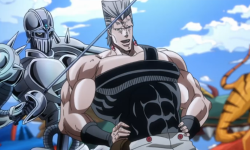 As Polnareff tries to woo the lovely Nena, Joseph Joestar has a deadly skin problem. A sentient boil frames him for murder and tries to kill him. Can the wily sexagenarian survive? It’s another episode of the JoJo’s Bizarre Adventure podcast from the folks from SOTSM and DITB! 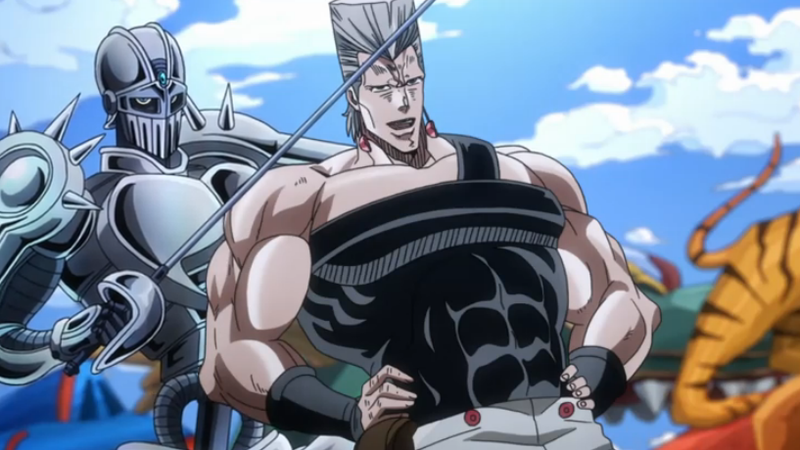 When Polnareff looks in any mirror, trouble is all he sees. 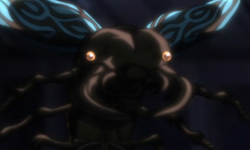 First the man with two right hands killed his sister, now he’s taken the life of one of the Joestar Group. How can he fight a man he cannot touch? It’s another episode of the JoJo’s Bizarre Adventure podcast from the folks from SOTSM and DITB! 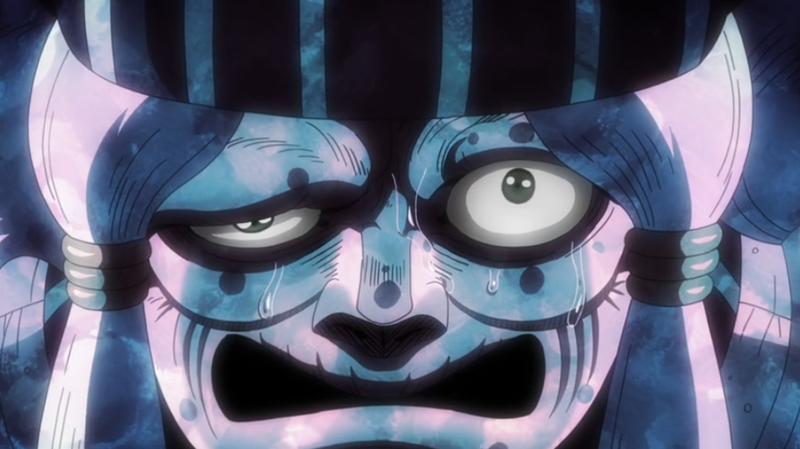 Polnareff’s blood runs cold when he learns his sister’s killer is in Calcutta with them. Splitting from the group to hunt him down, he finds more than he bargained for when he must face two Stand users. All this and more is discussed in the new episode of the JoJo’s Bizarre Adventure Podcast from the brains that brought you Dynamite In The Brain and Secret of the Sailor Madness! When we last left our heroes, the television had delivered them a message that a traitor was among their group. What goes on? Find out on another episode of the JoJo’s Bizarre Adventure podcast from the folks from Dynamite In The Brain and Secret Of The Sailor Madness? Q: Are We Not Podcasters? A: We are DITB and SOTSM! 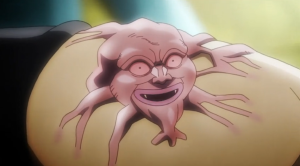 It’s another fun episode of Let’s Go JoJo! 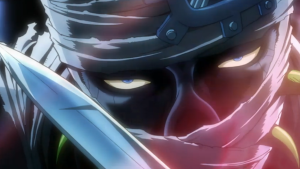 Star Platinum lures otaku into debt, Anthony continues his hunt for the JJBA:ASB demo and we probably call Soul Sacrifice “Soul Survivor” too many times. Meanwhile, Polnareff learns why you should never share a hotel room with a stranger at anime conventions. This Orangutan is a one man gang. And heroes must defeat it or face certain death at sea. 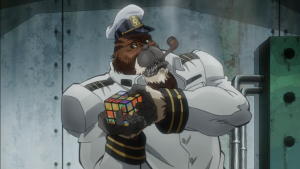 Yes, it’s another episode of Let’s Go JoJo, the weekly JoJo’s Bizarre Adventure podcast brought to you by Dynamite in the Brain and Secret of the Sailor Madness. Orangutan movies, careful (and not so careful) tiptoeing around that scene, discussions of Evil Stand User’s travel plans and more await you in this week’s episode. 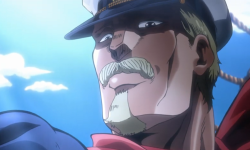 Following their less than successful attempt to fly to Egypt, the Joestar group sail away on a troubled ship that leads them to encounter a stowaway, sharks and would you believe it, an Evil Stand User whose name has been changed to avoid infringing on the name of a 70’s pop duo. It’s episode 6 of your weekly JoJo’s Bizarre Adventure podcast from Dynamite In The Brain and Secret of the Sailor Madness. Last week we met Jean Pierre Polnareff. Well, a week has passed and he’s still feeling mean. 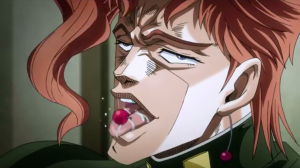 Mohammed Avdol is going to teach this Frenchman why you shouldn’t ally yourself with Dio. It’s Magician’s Red vs. Silver Chariot in the Tiger Balm Garden! Oh and we suggest a name change for Dio’s falcon. 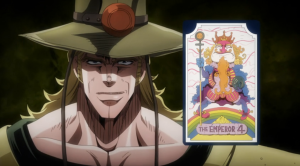 It’s another episode of the JoJo’s podcast with Dynamite In The Brain and Secret of the Sailor Madness. 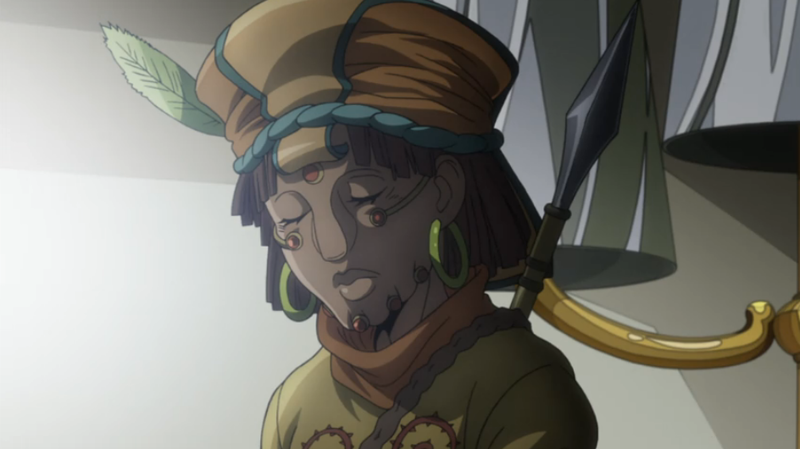 Joseph, Jotaro, Mohammed and Noriaki are leaving on a jet plane to Egypt. 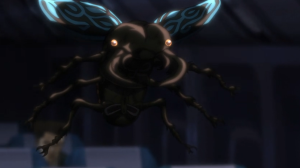 That’s if Gray Fly, the serial killer with a tongue ripping Stand will let them. Plus we meet the French hi-top haircut that is Jean Pierre Polnareff.